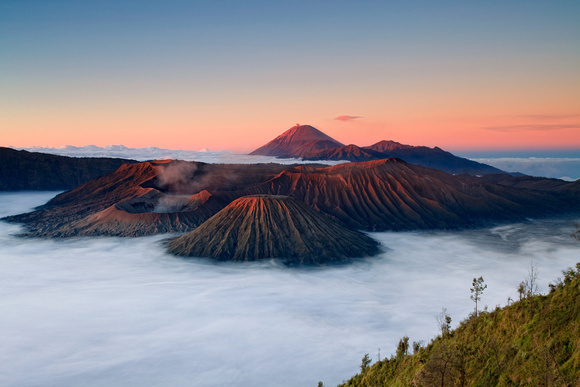 Mount Bromo Midnight tour, Madakaripura Waterfall trip package 1 night 1 day starting at midnight. So, You must prepared the suitable clothes with mountain circumstance like Jacket, Hat, Long Pants, Headlamp and other some important thing required because the temperature on the peak around 05 - 07 degree centigrade. You can read detail itinerary below. At midnight around 22.00 - 23.00 AM, Our driver will pick you up from Surabaya, Malang using private AC (air conditioned) transportation then take you to Sukapura Village (the Jeep Parking) for 3,5 hour driving. 08.00 – 09.30 AM : Finish enjoy the Sunrise, back to your jeep then continue to restaurant around Cemoro Lawang, have breakfast then visit Madakaripura Waterfall for 1 hour driving. 11.30 AM : Reach Madakaripura Waterfall location, enjoy the view until satisfied then comeback to your Van or Car through same route. Finish enjoy Madakaripura Waterfall trekking, Comeback to Surabaya, Malang. Also possible toward Banyuwangi and Finish 1 Night 1 Day Mount Bromo tour midnight, Madakaripura Waterfall trekking. Mount Bromo tour 1 Night 1 Day, or Midnight trip may followed by family, personal, and group, The itinerary above is Our best recommendation if you have not more time to enjoy other interested places around Surabaya, Malang, or Java Island, Indonesia. For detail information about Mount Bromo tour package midnight accommodation and tourism package facility, you can visit Our contact.